Illusion Unlimited Salons we believe our clients deserve the very best in everything from customer service and design expertise to the quality products we use. That’s why our three hair salons in the Cleveland area rely on Aquage and Surface. 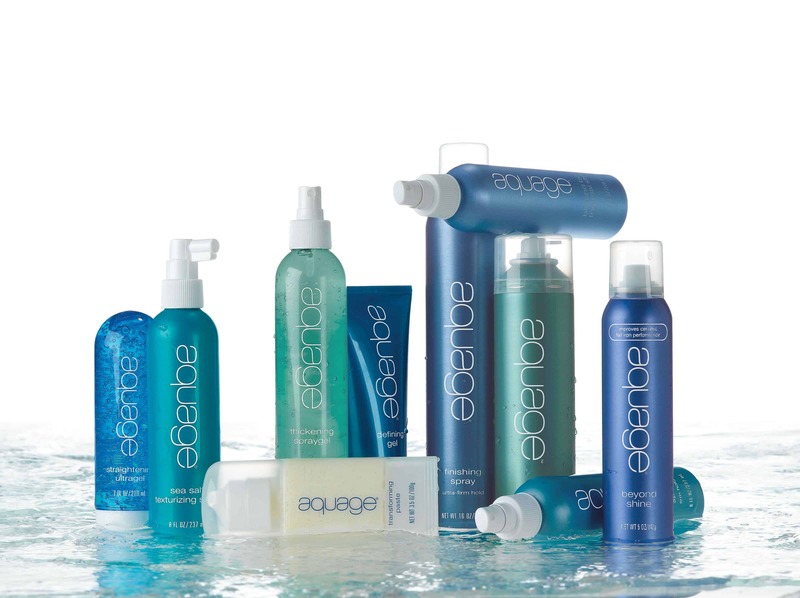 Aquage products are innovative salon haircare made with healing sea botanicals. Sold only to independent salons, no national chains or retail stores. From Seventeen magazine to Redbook (which put Biomega Moisture Mist from Aquage on its list of amazing beauty finds under $25 because of its softening power), Aquage has captured the attention of the media and style leaders across the country. Shampoos and conditioners are just the beginning for Aquage. Their innovative wet styling products prepare hair for any textural transformation. A line of thermalizing products have been designed specifically for use with thermal appliances. Aquage’s texturizing products – including Detailing Crème and Illuminating Gelade – will enhance the texture and movement of your cut. And their array of finishing products – from Volumizing Fix Hairspray to Beyond Shine – will lock in your final style and have you leaving the hair salon looking your best. Surface is high performance, salon exclusive hair care that respects personal health and the earth. Surface products are free of sulfates, gluten, parabens, animal protein, mineral oil, and phthalates. If you’re looking for an Akron hair salon or North Royalton hair salon, Illusion Unlimited Hair Salons, we hope you’ll consider Illusion Unlimited Salons.